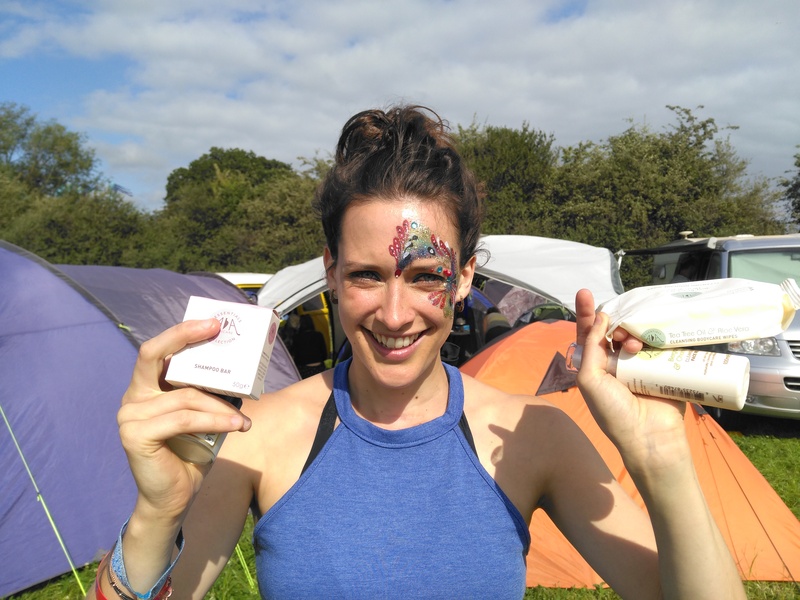 Amphora Aromatics: An artist’s guide to the essential festival toiletry kit - Amphora Aromatics Ltd – Supplier of pure essential oils and aromatherapy Products. 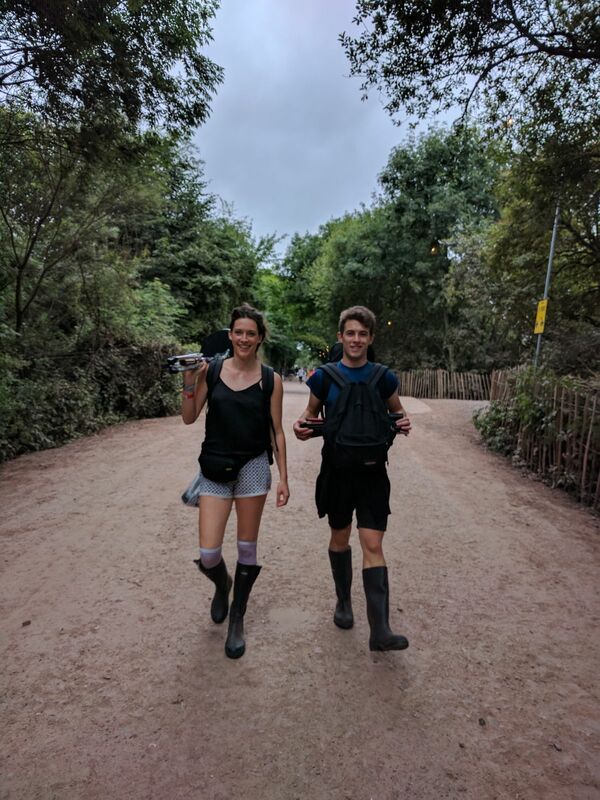 here are my top skincare tips for festival survival. As a pianist with Insight Ensemble, I had to ‘look the part’ on stage yet cope with festival conditions and the infamous long drop. My toiletry bag required careful thought - with limited space and a ban on glass products, I had to prioritise even the bare-essentials. The night before a festival, I treat myself to a long soak (before the onslaught begins) in a hot bath with a scoop of Dead Sea Salts, combined with the floral scent of Geranium Oil, for my dry skin and rejuvenating and calming Lavender Oil – my favourite essential oil. For my face, Ooharr’s Dead Sea Cooler Cleansing Face Mask, my number one failsafe choice to ensure my skin is nourished and softened before I begin the lengthy make-up procedure. Cleansing Wipes - preparing for a four-day stint with no hot shower and a performance at the end of it, involved imagination. AA Skincare’s Tea Tree and Aloe Vera Cleansing Body Care Wipes are the best – refreshing, soothing and great for removing make-up. 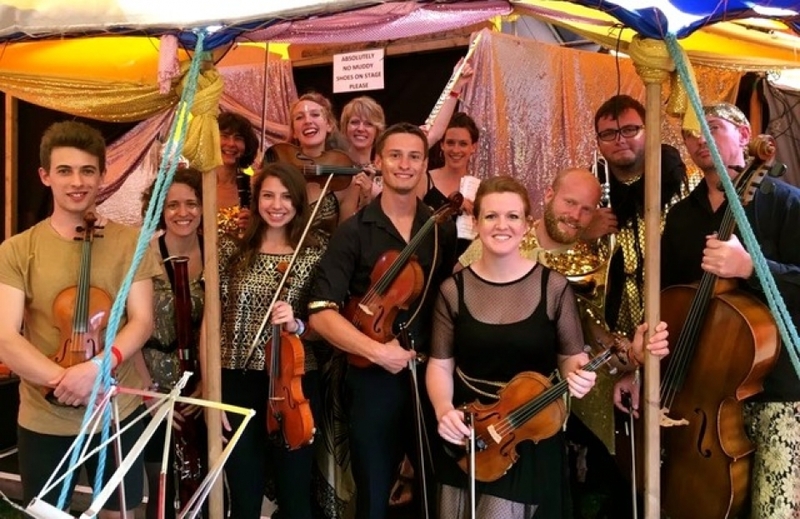 I quickly became familiar with the wet wipe shower, a welcome saviour at the end of my sweaty nights in the Shangri-La backstage bar, or more realistically after my evening chai and chill at the stone circle. Face Wash – my pre-coffee morning routine and the only way to wake me up. My daily facewash was a head ducking under the water taps and a mad scrubbing with a generous blob of Bergamot and Chamomile Cleansing Face Gel. My skin usually suffers from dryness during hot festivals, but this face gel conditioned and refreshed my skin every morning. I’m not sure the long queue of thirsty and hungover festival goers behind me appreciated my morning facial cleanse – I was certainly not making any friends here. Face Gel and Toner – before smearing on an endless concoction of make-up and glitter, I applied Rejuvenating Rose Face Gel. Helping hydrate and revive my dry skin, it also helped cool the red and flaky skin around my nose, the result of high pollen count and sunburn. The fragrant Frankincense and Rose Face Toner spray was super effective at refreshing my tired skin, especially the morning before our performance when we were all feeling slightly worse for wear from the previous night - it even proved a popular ‘wake-up hit’ with the boyfriend. Secret top-tip no.1 – for the best festival waterless shower you’ll ever have, take a few sprays of the Frankincense and Rose Face Toner around the body and then use one Tea Tree and Aloe Vera Cleansing Body Care Wet Wipe to gently rub all over. Removes sweat, mud and last night’s bad scents and leaves you feeling energised for the day ahead. Shampoo Bar – hair is my worst nightmare at a festival. Usually I leave it be and just endure the painful removal of dreadlocks at the end. Not this time. I was introduced to the light and easy to pack Botanical Boost Shampoo Bar with frankincense, rose and argan oil - I had never tried a shampoo bar before and was slightly sceptical. With no hot shower, this again involved a head ducking cold water hair wash – you really didn’t want to be stuck behind me in the water tap queue. Following instructions, I rubbed the bar between my hands to create a lather and massaged into my hair, I then rinsed immediately as too impatient to wait. To my hair’s delight, this vitamin rich bar left my dry, flat hair feeling moisturised and full, even with no hot water. I’m definitely now a convert to the shampoo bar!! 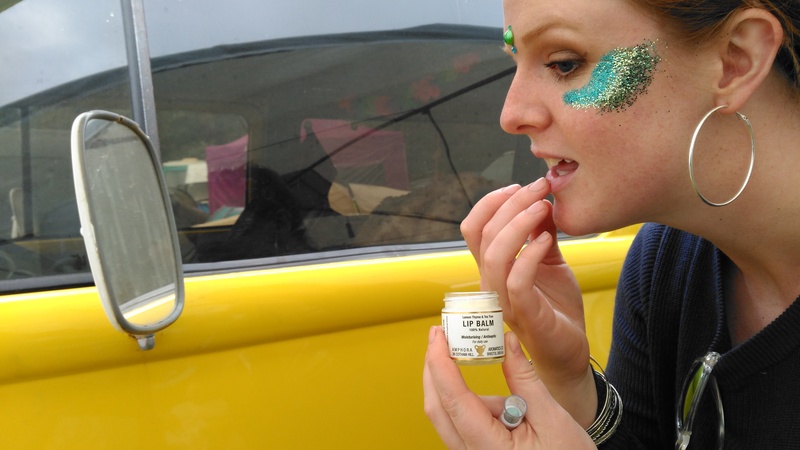 Lip Balm – Amphora Aromatics’ multi-purpose Lemon Thyme and Tea Tree Lip Balm* is a festival essential. I have been using this for years and couldn’t recommend a better product – it thoroughly moisturises the lips and leaves a long-lasting shine. It also works perfectly as a base for glitter. Every morning, I would dab a layer along my cheek bone, before applying glitter and it held together all day without itching my sensitive skin. *This was my only evasion to the glass bottle rule but it was accepted on the gates due to its tininess. Secret top-tip no.2 – this one’s for hay-fever sufferers. Rub a small amount of the Lemon Thyme and Tea Tree Lip Balm just inside the nose and it will help block pollen from entering your nostrils. A desperately needed hot bath. This time with Tea Tree Oil to clean out all the cuts and grazes, the result of my over-excited dancing during Chic and my scramble through the crowds to get a good spot for Radiohead. For an antioxidant boost, I slapped on Ooharr’s Fruity Magic Rejuvenating Cream Face Mask – packed full of nutrients and natural ingredients. I particularly like the touch of honey which helps regenerate my skin after the plastering of make-up and glitter. 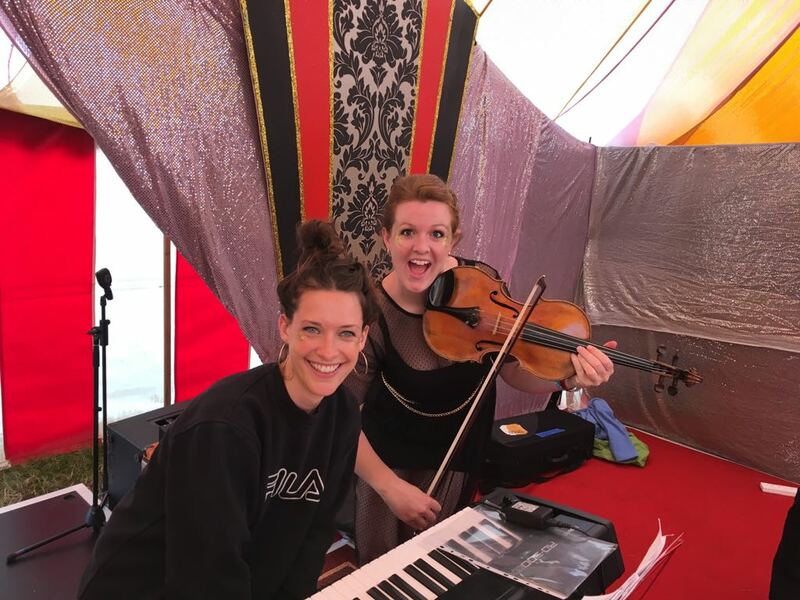 Glastonbury, you were a beaut, and thank you Amphora Aromatics and AA Skincare for keeping my hair and skin hydrated, moisturised and nourished throughout without breaking the bank. These products have been well and truly festival tested. 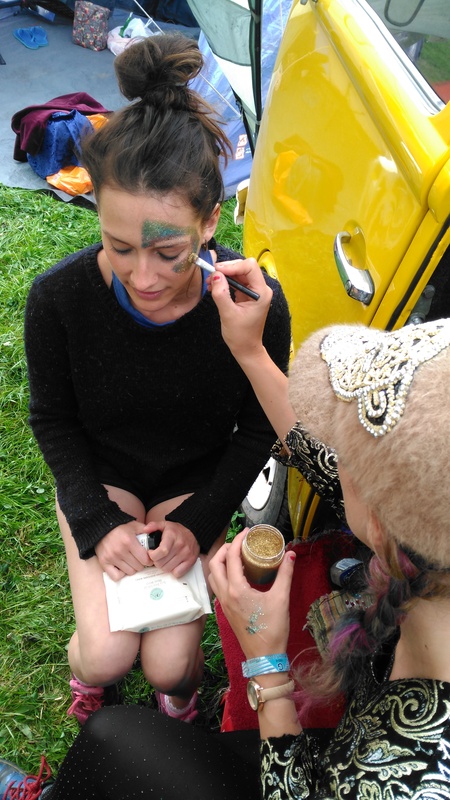 I’m all set for the summer festival season ahead – take me back to the glitter and bass! !